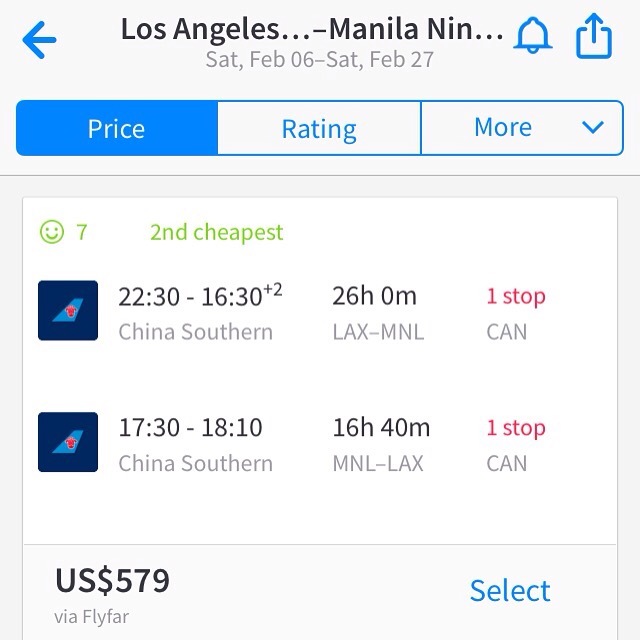 Fly roundtrip from Los Angeles, CA, USA to Manila, Philippines for under $600 in Febuary 2016. This deal is with China Southern, departing Los Angeles on the 6th of Febuary and returning the 27th of Febuary, with a stop over in Guangzhou, China. Follow us on Instagram for more daily deals! ← $346 Roundtrip from Las Vegas to Stockholm in January!